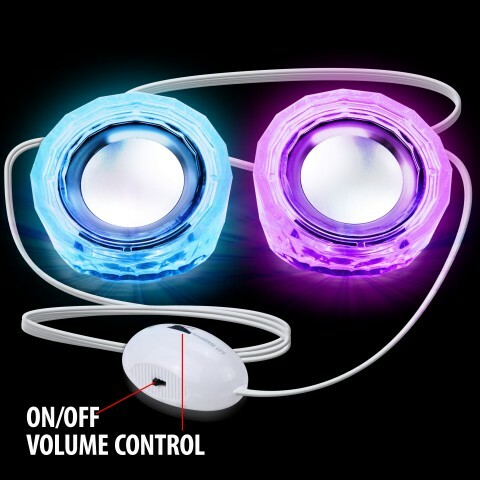 This dual speaker set is designed with style and functionality in mind. 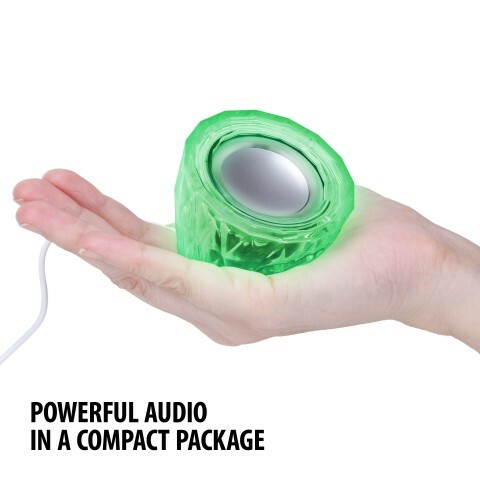 Its compact structure makes it easy to throw in your bag and give extra space on your desk. Don't let the size fool you. 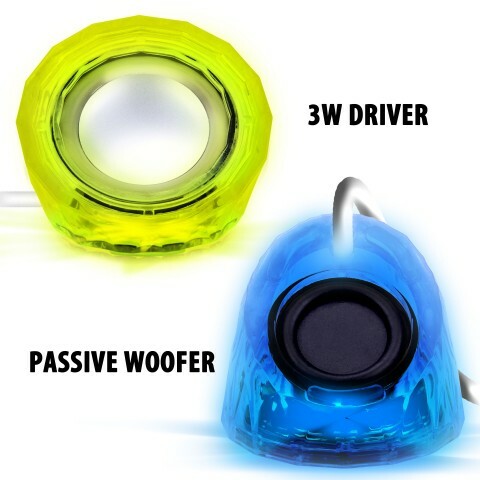 The 3W drivers bring audio levels to another level that really pack a punch! 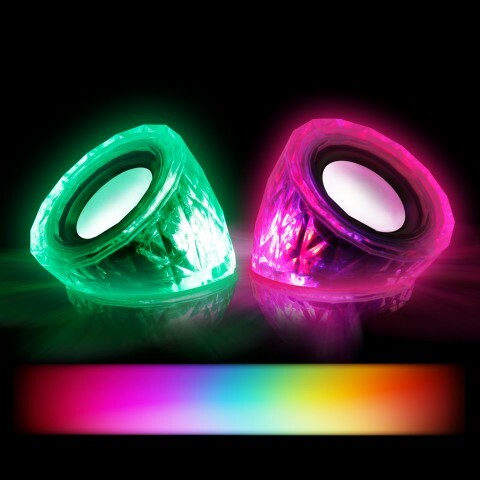 When connected to power, the color-changing LED in each satellite will begin cycling through 7 alluring colors. 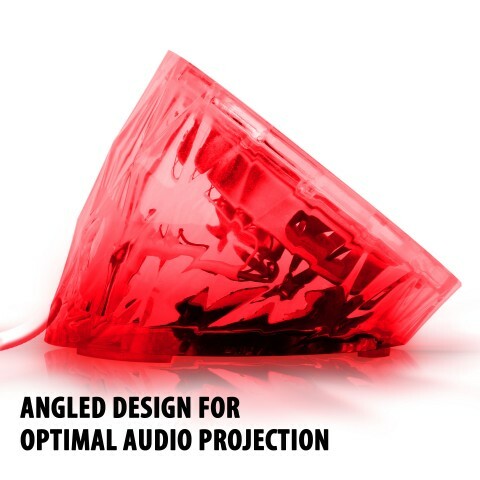 The crystal acrylic design presents a unique style that's sure to catch the eyes (and ears) of your audience! 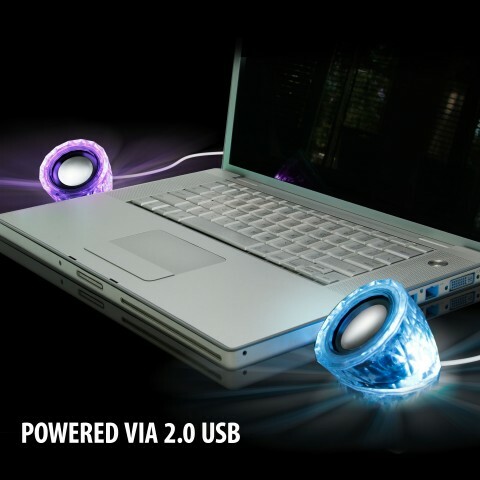 Powered by USB, these speakers allow you to simply plug them into your computer. 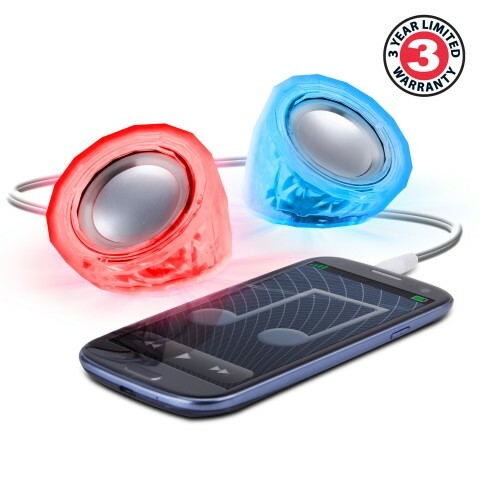 No hassle, just connect the 3.5mm cable to the headphone jack and start listening to your favorite tunes. 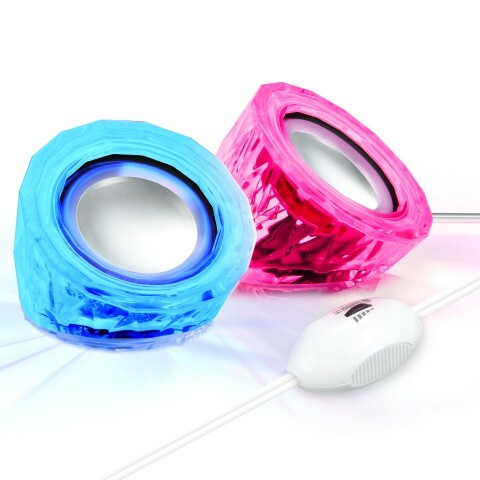 These speakers are the perfect audio accessory to your laptop, desktop , smartphone , tablet and other favorite multimedia devices!